If you are wondering what I did that was so joyous, I will tell you. I spent all day in my kitchen. Yes the kitchen. I baked and baked and baked. It was so much fun that I did not want to stop. I actually get to bake quite often, but today I was trying some new recipes and ideas. What I enjoyed most was making that beautiful cake filled tea cup and it was really simple to do. First, I made a box of Pillsbury strawberry cake mix. I baked in in mini bundt pans, which made 8 cakes. I generally make my cakes from scratch, but I saw that strawberry cake mix and a light bulb went off. It was a pleasant surprise to see that one cake fit perfectly into my little tea cup. 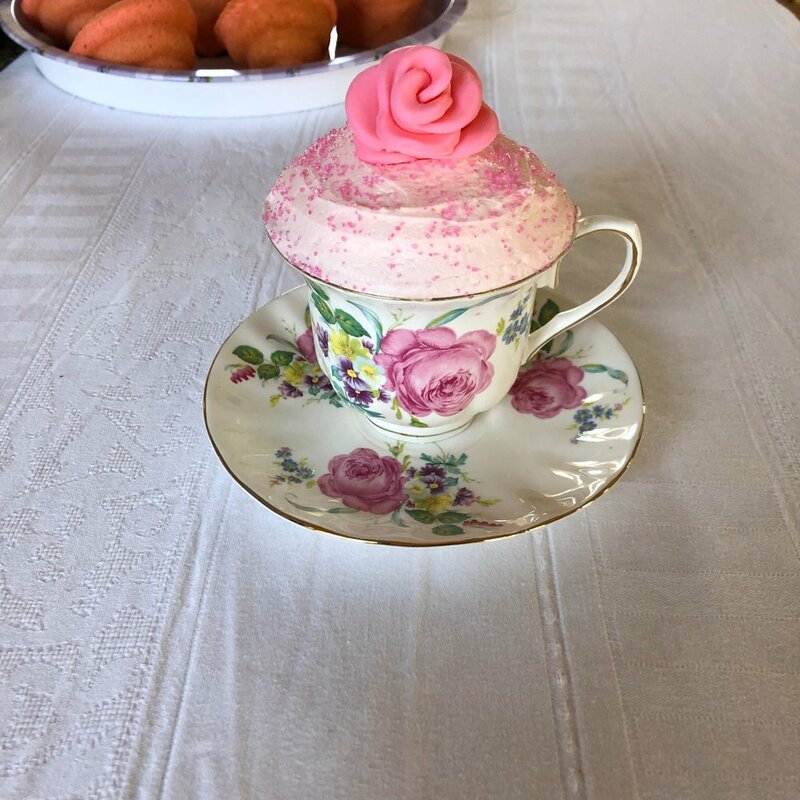 I iced it with some pink tinted butter cream frosting, added a few sprinkles and topped it with a fondant rose and my heart was immediately happy. I sent pictures to my daughter and new daughter in love and their hearts were happy…That’s it - a joyous day!